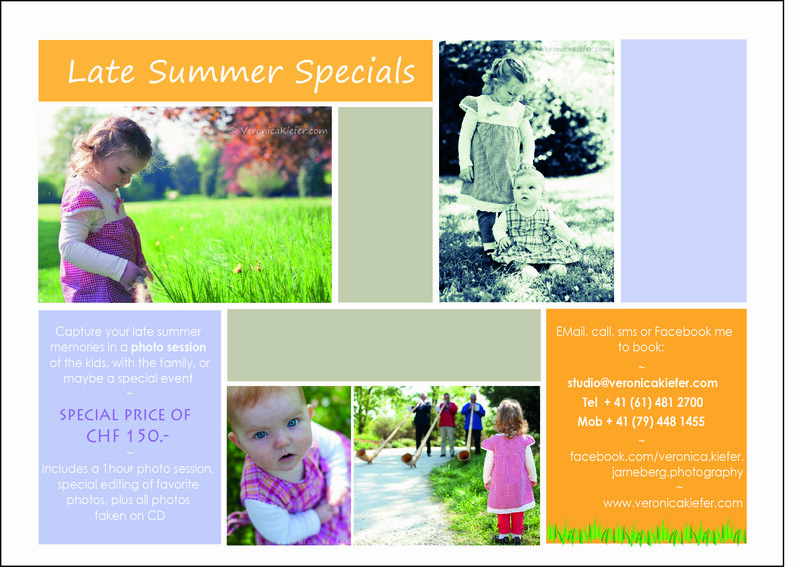 If you are in the Switzerland area: Now’s the time to book a photo session for late summer/fall! Take to opportunity to have special photos made, it could be a family- or children’s- session, portraits, or any event you would like. Just contact me to book your preferred date! Below is a PDF file you can send to your friends and family as well. Thanks for spreading the word! You are currently reading ~ Summer Special ~ at veronica kiefer photography ~.